This short two-shotter slides left to right down the hill from the tee. It is short enough to suggest that a long iron from the tee is plenty of club. 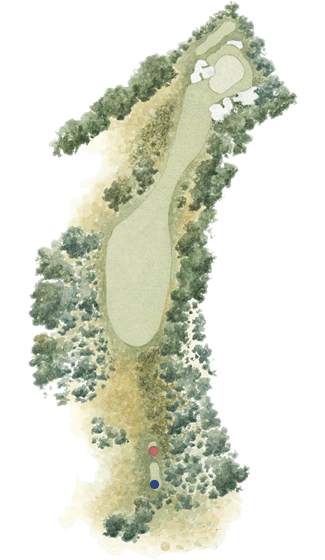 Those players taking the driver must shape their ball to match the left to right banking of the fairway or risk going into the copse of mana gums. Almost every second shot is played from a down slope and whilst it is an only a short iron, the green is one of the most undulating and challenging on the course.